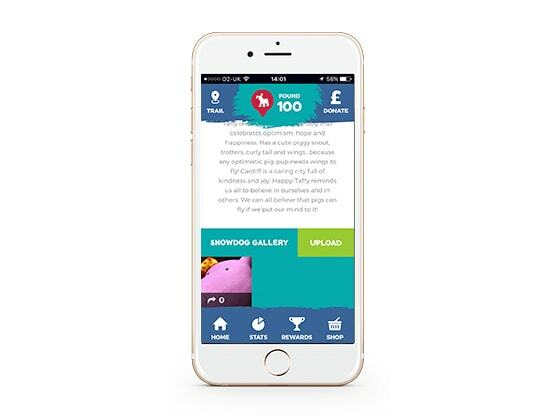 With the Snowdogs app you can collect Snowdogs and Snowpups, unlock exciting rewards, view your trail progress, add photos to our Snowdog Gallery and share on social media. App rewards have been provided by our paw-some sponsors. 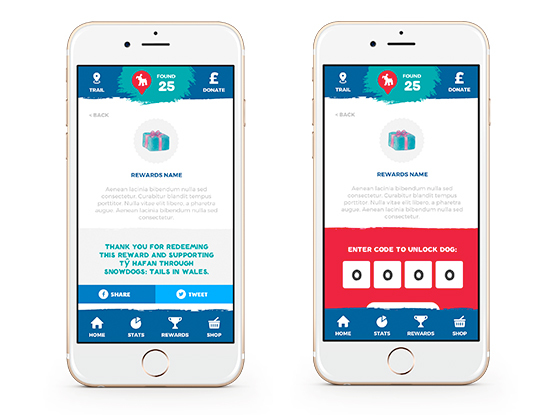 Plus loads more fantastic Snowdog features for just 99p* from the App Store and Google Play – search for ‘Tails in Wales’. ‘Open Trail’ to find and locate Snowdogs and Snowpups on the map. Or select ‘Trails’ in the top menu and search for Snowdogs and Snowpups under the tabs. 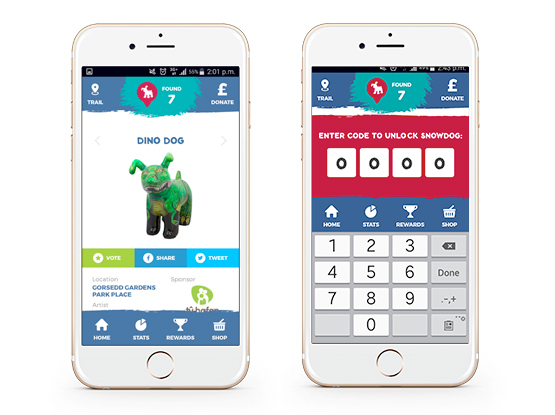 Simply enter the 4 digit code found on the Snowdog plaque to unlock your discovery. Plus you can give the Snowdog a vote or share! 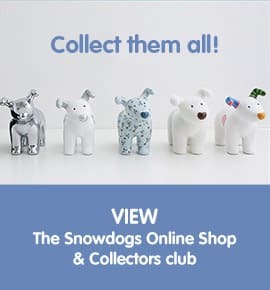 When you find and collect Snowdogs you’ll pick up lots of exciting rewards along the way! Track your progress around the Snowdogs trail. 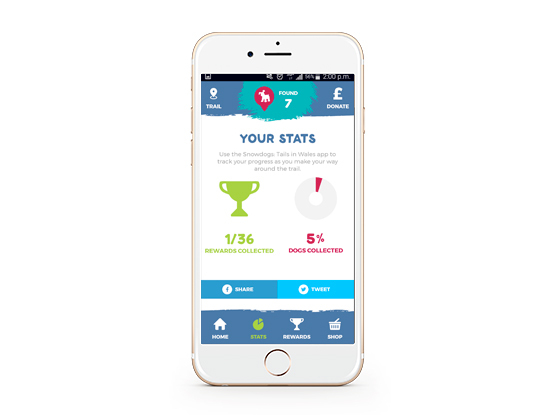 See how many Snowdogs you’ve collected, how many rewards you’ve unlocked, activities you’ve completed and what percentage of the trail you’ve covered. Plus you can see the most voted and most visited Snowdogs. Sunrise or sunset, group or solo visits we’d love to see your Snowdogs photos. Upload them to our Snowdogs Gallery, view others photos and share them on Facebook, Twitter and Instagram. Scroll through all the Snowdogs:Tails in Wales sculptures using the Snowdogs tab and the Snowpups using the Trail tab. Try the App FAQs below. If you’re still struggling let us know by emailing Snowdogs team at snowdogs@tyhafan.org for any queries and we’ll do our best to get back to you as soon as we can. Happy trailing! Try turning your phone off and on again – this has worked for other app players. Close down the app completely and re-open it. Fill in your name, email and postcode details. You should get through to the email preferences screen. Make sure you tick to accept Ts & Cs to continue. 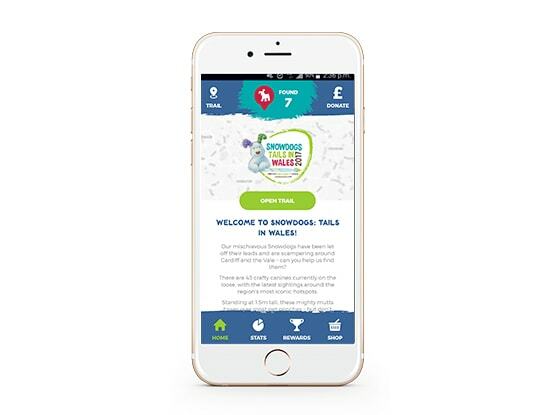 If you’re still having problems please email snowdogs@tyhafan.org with the make and model of your phone and the email address you’re using to register and we’ll do our best to help. How do I find the Snowdogs? Open the trail to use the map, pinch and swipe the map to zoom in and out. Location settings need to be turned on to see your location on the map. Or go to the ‘Trail’ tab and search for the name of the Snowdogs, artist or location. How do I unlock a Snowdog? There is a 4 digit code found on the Snowdogs plaque. There are two ways to unlock it on the app. You can do a ‘quick unlock’ by clicking on ‘Found’ at the top of the screen and entering the code there. Or you can enter the code on the Snowdogs page. How do I add a photo to the Snowdogs Gallery? 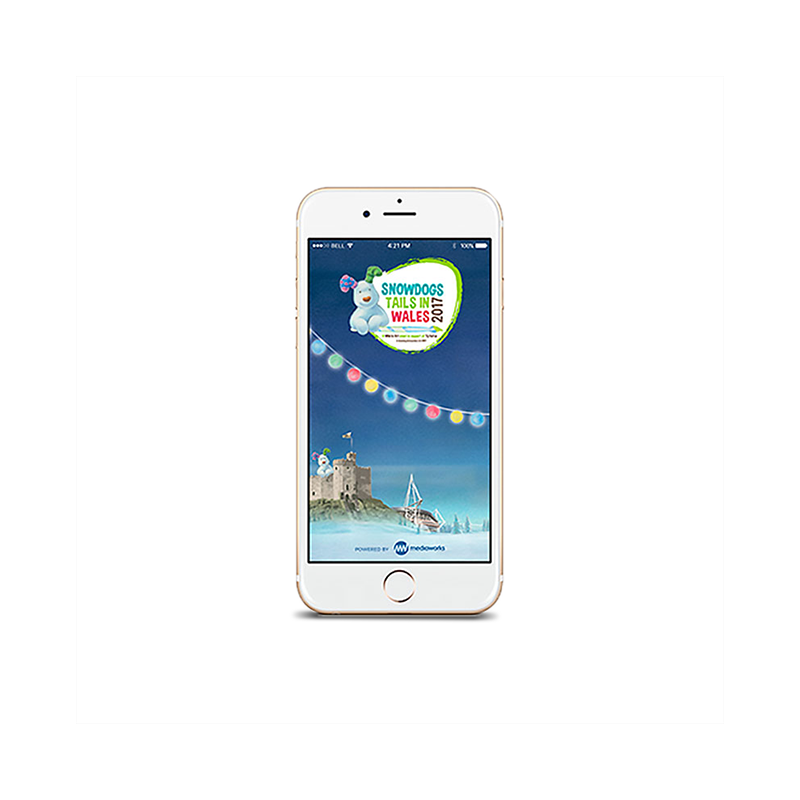 You can upload a photo to the app Snowdogs Gallery by clicking ‘upload’. You will be asked to either ‘Take a photo’ or ‘Choose from library’. Images uploaded will be vetted by The Snowdogs team prior to being published on the app. Your photo will be seen by other app players and can be shared on social media. So get creative! 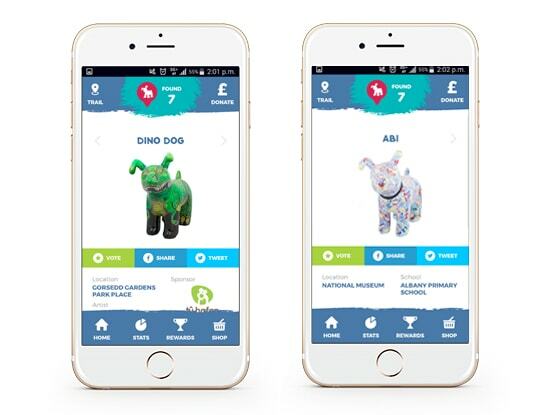 If you’re having problems with the app, please let us know by emailing The Snowdogs team at snowdogs@tyhafan.org for any in-app fundraising queries and we’ll do our best to help you. Happy trailing!